The Balearic Island capital is set to become Spain’s first city to ban tourist lets in flats. Palma City Hall´s decision will affect all flats and apartments in the city from July onwards. 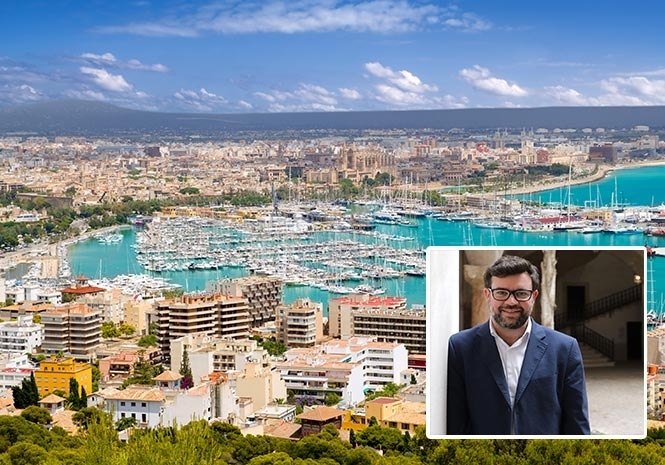 Antoni Noguera, Palma´s Mayor, said the ban was to “protect the residents” from soaring prices and a shortage of long term lets. The measure is the first of its kind in Spain. A Palma government study found rental prices in the capital had shot up by forty per cent in recent years. This makes Palma the second most expensive rental market after Barcelona, the deputy mayor, Jose Hila said. He added, the trend is transforming European cities from one day to the next. “We have to bring order”, he said. The rental market analysis uncovered a link between the holiday let phenomenon and the rise in the residential let prices. Almost half of holiday lets were occupied by tourists for at least six months, hitting the long-term let market hard, said Palma´s government team. There were 20,000 unlicensed holiday lets in 2017 – up 50 per cent since 2015 – compared to only 645 licensed lets. The ban´s exceptions include detached houses and chalets, but not properties in protected rural areas near the airport and industrial estates. The Catalunya regional parliament passed the letting law last August, but it was up to the Palma Town Hall to decide where in the city to target. A leftist government coalition – made up the Partido Socialista (PSOE), Podemos and Mallorca´s Mes party – are set to approve the new law in a municipal meeting on Thursday. The Mayor said the decision was for the “general interest” and believes it could set a trend for other cities. Catalonia parliament has nothing to do with Palma city. Palma is in a different and separate region from Catalonia: the Balearic Islands. So the quoted relation between the passed laws has no sense.